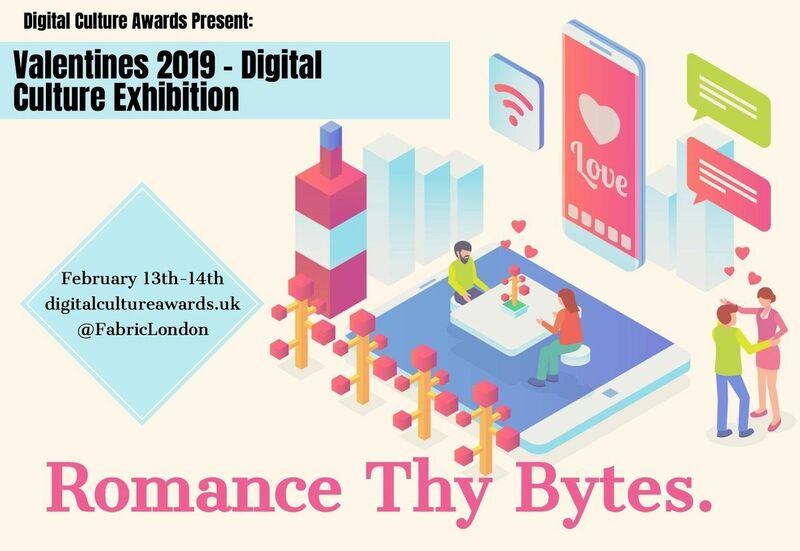 This Valentine’s day, join us at London’s Fabric and enter up to 3 exhibition zones then start voting on a number of gaming and mixed reality experiences. Your votes each year go towards helping us determine the modern leaders in the arts and technology. Each zone has a unique theme with a question and exploration into digital culture. Debate and discuss opinions with others – step into the latest games, tech experiences and features. With appearances from special guests throughout the exhibition, why not make it your Valentine’s day out this 2019! Take part in digital history by judging our award exhibits. Support us in gathering data on our award finalists and experience a range of inspiring art and engaging technology from around the globe. Share your thoughts and opinions at the bar or send them directly to us on your phone.